Russell is the eighth teacher to participate in our Teacher Tuesday campaign. He works in a school in Inverell, a New South Wales country town in Australia. Of the 680 students in his school, 125 are Aboriginal. 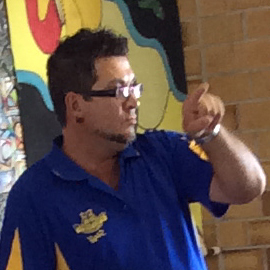 Four of the 30 teachers in the school are Aboriginal as well, including Russell, who is Gamilori. Although learning gaps between indigenous and non-indigenous children in Australia are clearly visible in student assessments, they have not received sufficient policy attention, and so have persisted for a decade and a half. The latest EFA Global Monitoring Report shows that, in Australia, around two-thirds of indigenous students achieved the minimum benchmark in mathematics in grade 8 between 1994/95 and 2011, compared with 90% of their non-indigenous peers. Not all teachers are happy to work in remote areas, however, leaving marginalized children often without the best quality teachers a country can offer. To provide a quality, equitable education, governments need to provide incentives to encourage teachers to work in disadvantaged schools. In Australia, for example, teachers build up more career points if they work in remote areas. “When you teach at the more remote schools you get 8 points per year, compared with 1 point on the coast,” Russell explained. 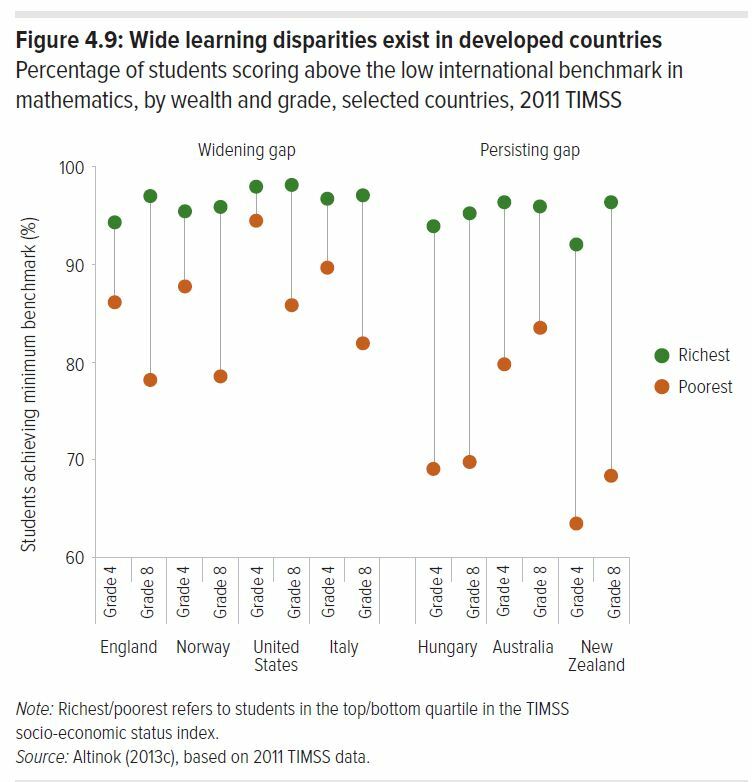 As Australia’s experience shows, rich countries’ achievement levels may generally be higher, but their education systems can also fail significant minorities. 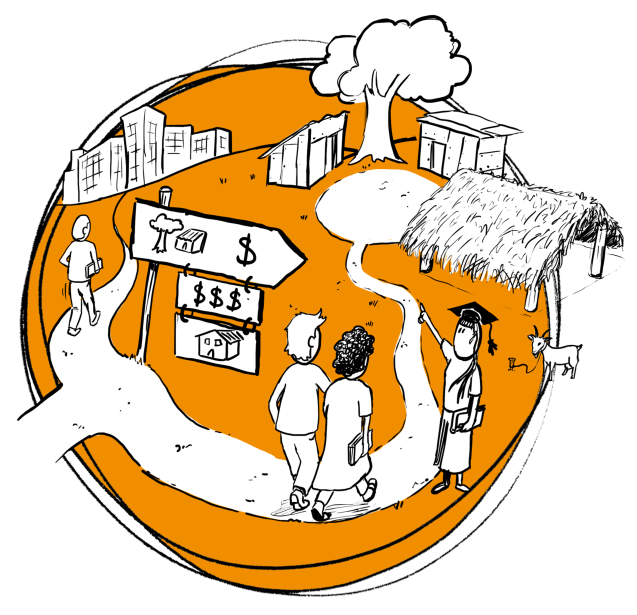 Unless countries tackle inequality by reaching groups marginalized by poverty, immigrant status and other factors associated with wider disadvantage, they will fail to achieve the standards of learning that all their citizens expect and deserve. This entry was posted in Developed countries, Early childhood care and education, Ethnicity, Language, Rural areas, Secondary school, Teachers. Bookmark the permalink. It is sometimes unbelievable that rich countries do not realize, or do not want to pay attention to these marginalized groups. On the other hand, your work as a teacher is undeniably amazing. Your concern for these groups let them get the basic knowledge since education avoids inequality. Congratulations!